Professor David Norris received a BA from the Johns Hopkins University, and MD for Duke University, and completed clinical training at Duke, the Ohio State University and the University of Colorado. Professor Norris is an experienced, internationally recognized investigator in cutaneous immunology and cell biology and melanoma research. He began his research career studying mechanisms of cell death in photosensitive lupus and vitiligo, and made seminal discoveries regarding the role of ultraviolet light in inducing translocation of autoantigens to the plasma membrane in keratinocytes in photosensitive lupus. His interest in immune mechanisms in vitiligo has led to many years of research in pigment cell biology, which eventually developed into studies of the resistance of melanocytes and melanoma to apoptosis. His current research, funded by NIAMS and the Department of Veterans Affairs, focuses on the network of anti-apoptotic defenses in the skin, and how these defenses can be maintained in inflammatory and immunologic disease, and how they can be overcome in cancers such as basal cell carcinoma and melanoma. He has been on the faculty of the University of Colorado for 36 years and has supervised 23 trainees who have entered academic careers. He is director of the NIAMS-funded Dermatology Training Grant at UCD, now in its 30th year of funding. He is also Director of the NIAMS-funded P30 Skin Diseases Research Core Center at the University of Colorado Denver. This NIAMS-supported Research Center is a consortium of 49 investigators, managed by Drs. Norris and Roop. As Chairman of the Department of Dermatology at Colorado, he has built a strong research program with focus on cutaneous oncology, immunodermatology and stem cell research. He has also expanded the teaching and clinical missions of the department, and maintained his own active practice at the VA and University Clinics. For the past 12 years, he has been Co-PI of the NIAMS-funded Alopecia Areata Registry. He has an active translational research program in alopecia areata and vitiligo, and in melanoma. He has studied the effect of ultraviolet light in lupus, vitiligo, melanoma and alopecia areata. David Norris is one of the leaders of the interdepartmental melanoma program at the University of Colorado. Professor Norris has served as President of the Society for Investigative Dermatology and Editior-in-Chief of the Journal of Investigative Dermatology. He has received Honorary Memberships from the Society for Investigative Dermatology, and the corresponding societies in Austria, Japan and Korea. 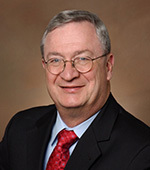 Dr. Norris has served as an expert reviewer for NIAMS and the NCI, and has been an active reviewer and scientific advisor for the American Skin Association, the Milstein Asian American Partnership Foundation, the Psoriasis Foundation, the Dermatology Foundation, The National Alopecia Areata Foundation and the Rosacea Society.